Oracle Enterprise - Page 3 of 9 - Enterprise data management, application and data integration. The definition of a good schedule is fluid. Every planning department has a different set of standards, thresholds, and tripwires that determine schedule quality. How can two companies—contractor and owner, for example—decide on a fair standard or make consistent project decisions? Enter Acumen Schedule Index from Deltek, an Oracle Consulting Company to help managing your Primavera Project Schedule. What is the Acumen Fuse Schedule Index™ ? Recognizing the need for a standard measure of schedule quality, Acumen created the award-winning Fuse Schedule Index™. The Fuse Schedule Index is made up of nine different schedule quality checks and their proven thresholds. Each of these key indicators is individually calculated and weighted before being compiled into the Index. Standard thresholds have been established to help you determine if your project makes the cut or not. Since its invention, the Index has been built into the Acumen software platform, used as the basis for cloud-based benchmarking, and offered as part of a free Web utility that all planners can access. Sure, you could research, buy, host and implement your own Project Management software. But why inflict that misery on yourself when LoadSpring can make it effortless with some of the best Oracle Consulting Companies? LoadSpring has been a project management solution provider for over 14 years that can solve customers’ software purchasing and access issues, as well as their accompanying deployment and implementation challenges. LoadSpring’s SpringBoard™ Portal provides global project management teams with easy and secure access to their full suite of products as well as software through infrastructure support. To complete the success cycle LoadSpring’s Services group further enables software adoption through its quick and simple implementation products. With a broader range of services, products, training and support, you can implement faster and get your people up to speed in record time. All while accelerating your IT project executions and boosting ROI. And with Primavera, get the best you can possibly can from LoadSpring. In movies and television shows, information technology is often scaled down to fit the story. That magically computed result, that missing electronic file, and that unknown password that will stop something bad or start something good can go from nonexistent to resolved in one brief scene. And for historical reasons the significant computing power in most screen fiction seems to come from a vintage main-frame—rather than a modern supercomputer or engineered system and all the benefits of virtualization. There aren’t too many references to cloud computing in movies or on television, but those that exist seem limited to the idea that a treasured file or information the hero or villain may be looking for is safe from local mayhem because it is safely stored “in the cloud.” Fortunately, the fact that a movie or television show delivers a very narrow definition of cloud computing as internet-located storage isn’t likely to break the on-screen story or reduce the entertainment value of a production. 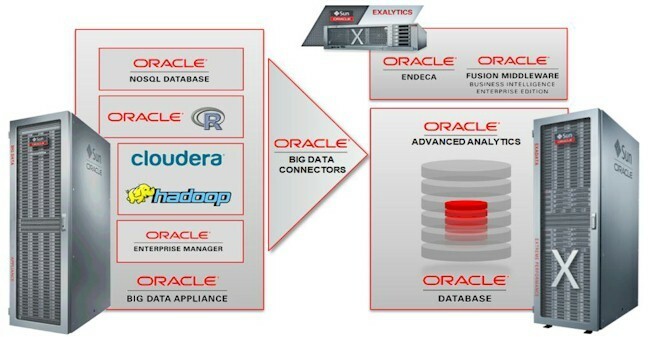 Exalytics in-memory analytics software and industry-changing hardware was engineered to work together to provide extremely fast solutions for BI, modeling, forecasting, and planning. This resource kit contains an analyst report, demos, podcasts, customer references, and more to show you how to reduce costs, speed deployments, and simplify management and service support using Oracle Sun Blade Systems. Customer References, White Papers, Sun Blade 6000 Kaon Demo, and more.